One of the main reasons that people tend to avoid flossing is the fact it can cause both gum pain and bleeding. Fortunately, there’s a way to floss without having to use string. Water flossers are an alternative method of flossing. I’m going to attempt to help you figure out the best water flosser for you in this guide, as well as point out a few reasons why you should consider water flossing over regular flossing. 1.2 Why Choose Water Flossing? A water flosser is a device that can provide you with a much more convenient method of flossing your teeth. Instead of using string, you use a high pressure stream of water to clean the spaces between your teeth. There are four different types of water flosser available — countertop, cordless, shower flossers, and sink flossers. Water flossers consist of a motor with a pump, a water reservoir, and a water flossing tip. Some water flossers come with multiple tips, with several different colors available, which makes them ideal for those of us who have small children. By swapping out the tips, the whole family can use one water flosser. Using a water flosser is also incredibly easy. All you have to do is place the tip in your mouth and close your lips around it, leaving a small opening. Turn the flosser on, work around your gumline and teeth, and let the excess water drain out into the sink or shower. That’s really all there is to it. Ever since I picked mine up, it’s been easier than ever to get my kids to floss, and their dentist definitely noticed the difference during their last visit. As convenient as it would be, simply brushing your teeth twice a day isn’t enough to keep your dental health in tiptop shape. Flossing is essential to remove plaque, a type of sticky bacteria, from your teeth. That alone is reason enough to start using a water flosser. Even better though, especially since I’ve personally dealt with painful bleeding gums when flossing before, water flossing is a much gentler way to tackle your daily flossing. Ever since I started water flossing, my gum bleeding has vanished and my smile has never looked better. “I’ve been doing nothing but brushing for years and my oral health is just fine”. I used to think the same way, especially given how uncomfortable traditional flossing was for me. However, trust me when I tell you, flossing is of the utmost importance. The bacteria that is found in plaque can cause tooth decay and gum disease if not properly removed. If plaque is not removed, it eventually hardens and turns into tartar and begins building up along your gumline. Once this begins to happen, your gums can become inflamed, swollen, and bleed when you brush your teeth. This eventually leads to gingivitis. Gingivitis is an early type of periodontal disease. If you address it early enough, it can be completely reversed. However, if left unchecked, it eventually progresses to full blown periodontal disease. It’s absolutely vital to address gingivitis before it advances to a more serious gum disease like periodontitis. As you can see, flossing is of the utmost importance in order to prevent gum disease. So with that out of the way, it’s time to share my top five picks for the best water flossers available to you. The first water flosser that we’ll be looking at comes from a highly trusted brand name in the world of water flossers, Waterpik. They are actually one of the most recommended brands by dental professionals when it comes to flossing alternatives. Their WP100W Ultra is one of the best selling water flossers on the market today and for good reason. It comes with 10 different pressure settings, and it’s designed to be incredibly quiet when in use. The Waterpik Ultra also comes with six unique tips, making it perfect for families. It’s ideal for individuals who have dental implants, as well as for those who have crowns, bridges, or veneers. Panasonic is another well known brand name that has entered into the water flossing industry. They are doing quite well for themselves as this EW-DJ10-A model demonstrates. It’s an easy and convenient way to maintain optimal oral hygiene for healthy teeth and gums. The powerful water jets that it emits are capable of reaching spots that traditional dental floss just can’t quite reach. It’s also 100% waterproof making it incredibly easy to quickly clean under the water faucet after every use. It’s also the perfect water flosser for anyone who travels often, offering unmatched portability. The next water flosser recommendation I have for you guys is a shower-operated option from ShowerBreeze, an offset of OralBreeze. They are a company that is owned and operated by Veterans. It’s a complete system that replaces your existing showerhead with a brand new nozzle with attached hand held water pik. By turning the attached lever, you can divert water from the showerhead to the pik until you reach your desired water pressure. This option is incredibly convenient for anyone who is often pressed for time, as they can quickly and easily floss their teeth while taking their daily shower at the same time. 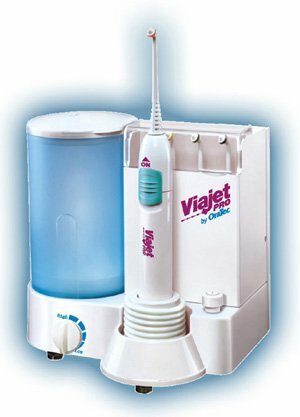 The ViaJet Pro Irrigator by OraTec is another water flosser that comes highly recommended by both dentists and hygienists. As with other water flossers, this device cleans not only your teeth but also those pesky hard to reach spots in between them. It helps to flush away rotting food particles while also massaging the gum line, helping to improve circulation and leave your mouth feeling fresh and clean. This product even includes an optional Deep Pocket Attachment for cleaning below the gum irrigation. ToiletTree Products are the maker of the final water flosser that I highly recommend. 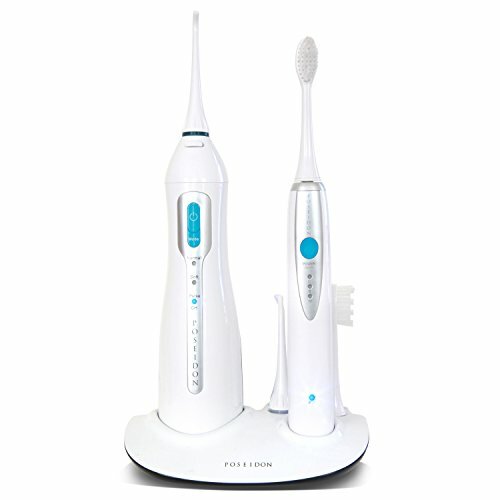 This product is notable for being the only combo set offering on this list, featuring not only a great portable water flossing device, but also an outstanding electric toothbrush. Studies have shown that water flossers are excellent at removing hard to reach plaque as we’ve already covered in this article, but they have also found that electric toothbrushes are better for cleaning than manual brushing. Together, this product offers a one-two punch that can help you maintain great oral hygiene. All of the water flossers that are listed above will be more than adequate when it comes to keeping your dental hygiene in check. In addition to daily brushing and routine dental check-ups, using a water flosser is a great way to help prevent gingivitis and gum disease. However, if I had to recommend just one of the above products over the others, it would have to be the Waterpik Ultra. 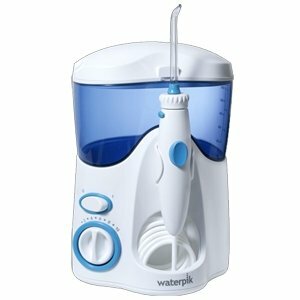 Waterpik has decades of experience in the oral irrigation industry and that experience shines through with the WaterPik Ultra. 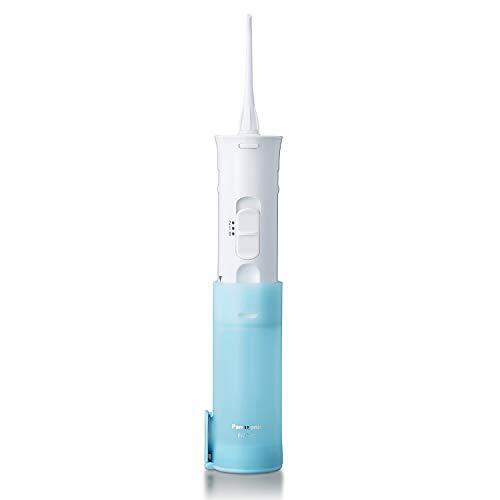 It’s got everything you could ask for in a water flosser — convenient portability, multiple tips for family-friendly use, effective cleaning, and it’s perfect for first time water flossers. All of these reasons add up to making it my number one water flossing recommendation. Again though, you can’t really go wrong with any of the above options, and you should select the water flosser that you feel is the best match for your own lifestyle needs.